QUESTIONS ABOUT A CIVIL LITIGATION? It is beneficial for individuals to seek experienced legal representation when a claim or defense involves a civil matter because it allows them to make an informed decision regarding whether a case should be litigated or settled with the comfort of knowing that they have experience in their corner. With John’s experience he is able to counsel clients on the legal strategy that will best serve them based on his knowledge and understanding of the local courts and New York laws. 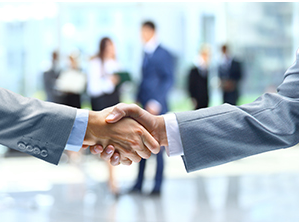 Whether that strategy includes settlement of a dispute, preparing for litigation, litigation, or settlement during the course of litigation, John strives to meet each client’s expectations and goals through a strategy individually tailored to each case. 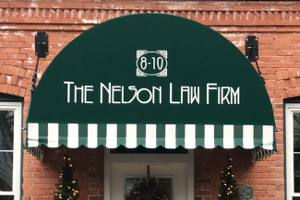 Along with his extensive experience in the realm of criminal defense, John Nelson has also represented individuals, business organizations, and institutions as plaintiffs and defendants in business, real estate, personal injury and other civil litigation matters in the greater Ellicottville, New York and surrounding area. Civil matters which John typically handles have included breach of contract; negligence; accounting and quiet title actions; timber theft and conversion; timber loss; actions relating to the recovery of personal and real property; and personal injury actions. The litigation approach that John takes with his clients’ civil matters is similar to the approach that he takes in his criminal defense practice. He strives to build and garnish strong relationships with each and every client to ensure that no stone is left unturned and no question unanswered. From case evaluation and investigation to final judgment, and every step in between, John and his team are dedicated to diligently providing his clients with information and updates regarding their claims or defenses. This generally includes an analysis of each client’s rights, duties, and obligations in order to effectively evaluate and proceed with a case in a manner consistent with their expectations and goals. Attorney John Nelson knows that even the smallest details can become game changers for a case and affect a client’s ability to recover or defend. He takes pride in his research, preparation, and litigation strategy in each case; and his clients enjoy the individualized counseling and representation that they receive from a local attorney who is available to respond to their questions and concerns in a timely manner. An individual involved in a civil matter must make many important decisions concerning when and how to proceed with a claim or defend against a claim. One of the most important of these decisions is to call an attorney that you can trust will have your best interests in mind. Make that important decision today and contact Ellicottville NY Civil Litigation lawyer, John Nelson today at (716) 364-2569. We have years of experience defending clients against traffic violations and DWI / DUI charges. For effective legal representation, contact New York defense attorney John C. Nelson today at (716) 364-2569 or email at john@jcnlawfirm.com. 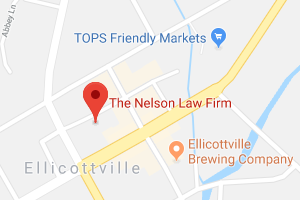 Contact The Nelson Law Firm for help on a civil case with a civil defense lawyer, throughout the following communities. We help people throughout New York state who need a strong Ellicottville NY Civil Litigation Lawyer. We serve the Cattaraugus County the Southern Erie County area, including Allegany County and all other cities and counties in New York. If you need to fight your charges professionally, we are available 7 days a week to help.